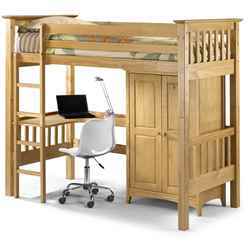 This ingenious Pine Finish Shaker Style Children's Cabin Bed is made of quality pine and finished with a light antique pine lacquer finish. It features a fixed side ladder, safety bars, a 2 door wardrobe and a fixed corner desk. 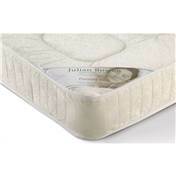 Please note: Mattresses for this bed frame is recommended to not exceed 6" in height due to EU legal safety requirements.This bed is made to fit a 90cm x 190cm (single) mattresses (sold separately).